Three of the things that Tom and Zach hold dear are their friends, their family, and theme parks. 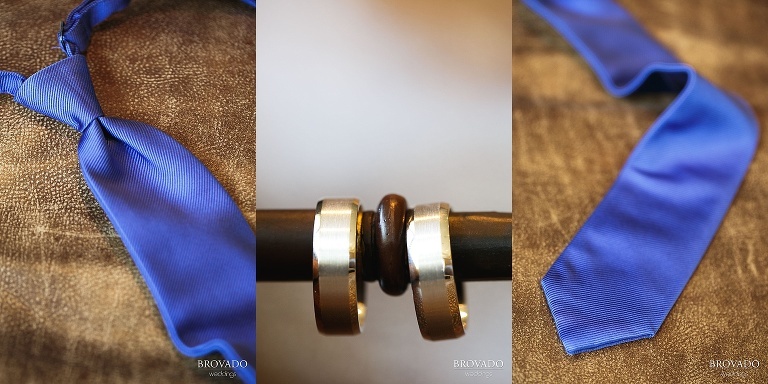 Each of these passions rightly played a role in the couple’s magical wedding day. Tom and Zach’s friends have played a big role in the couple’s wedding from the start. When he proposed, Tom made sure that Zach’s two best friends were there to witness it, flying them up to Minnesota for the occasion. It only makes sense that friends were also an important part of their wedding day, and their wedding party was such a supportive team. They were ready and willing to help out the grooms while they were getting ready, and to dance the night away once the knot was tied! 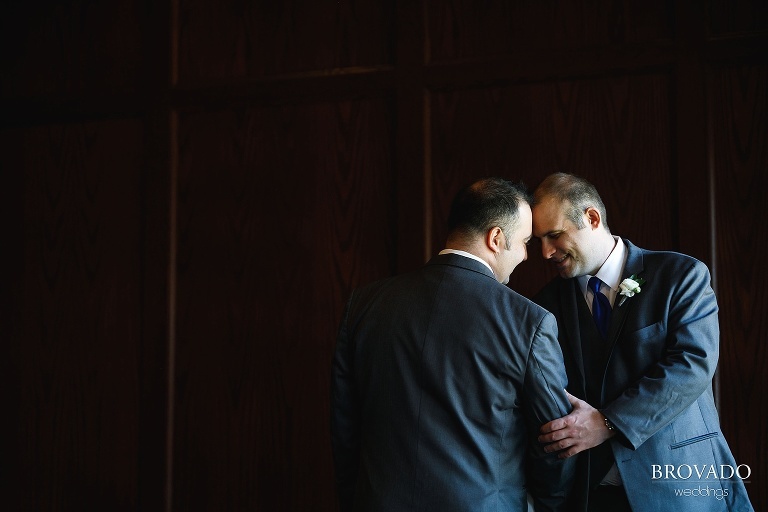 Tom and Zach were married by Zach’s father, which led to an emotional time for all parties. Watching your child get married is already a tear-jerking moment, so imagine how it would feel being the one to pronounce them married! Zach’s father met the two in a warm embrace after marrying them and couldn’t help but smile as he signed the paperwork that made their marriage official. 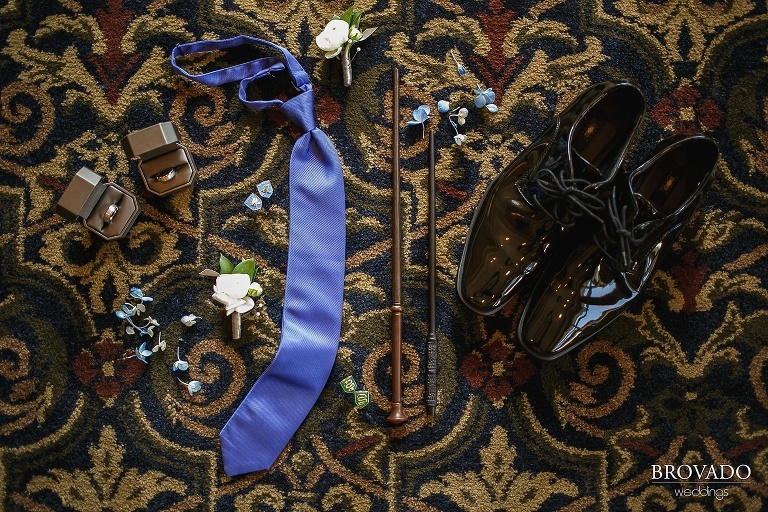 One of Tom’s favorite things about his partner is seeing him excited about his passions, so it’s no surprise that Zach’s love of Harry Potter made its way into their wedding details! 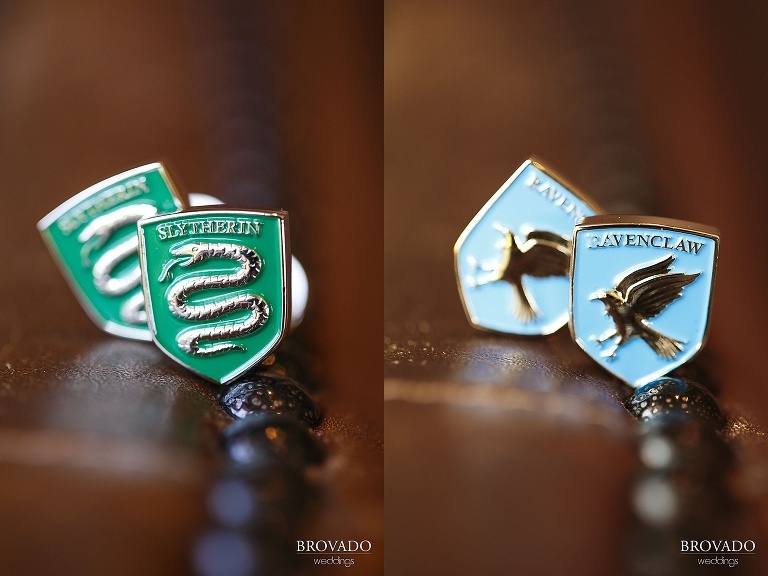 Their cufflinks showing off their respective houses were a fun way to show off their personalities and wands made for a fun prop for photos. The two actually met while working at Walt Disney World, and we can only assume that they’ve made their fair share of trips to The Wizarding World of Harry Potter!